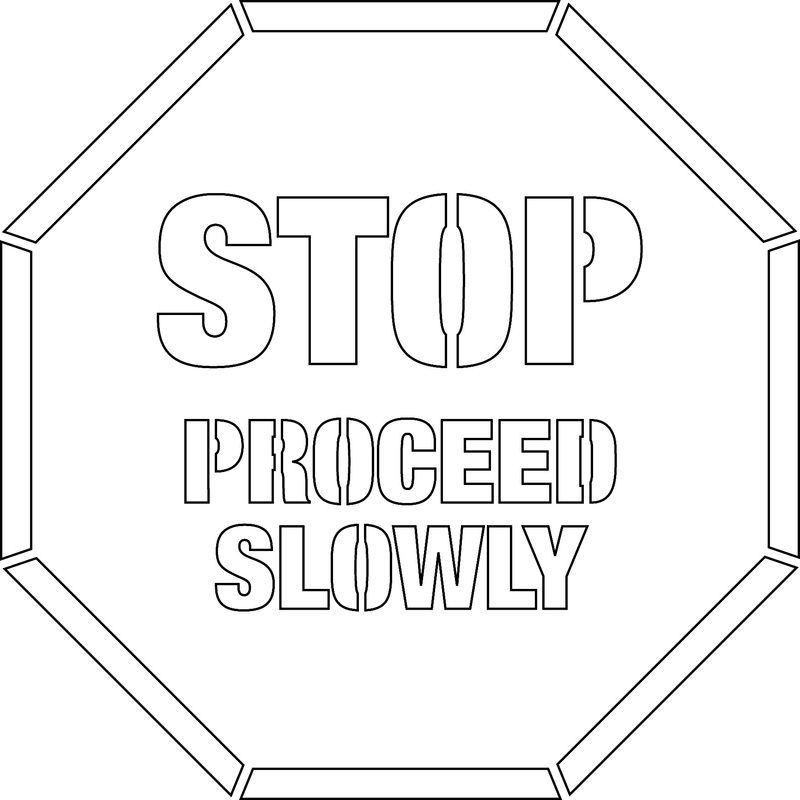 Using a stencil to write, “Stop – Proceed Slowly” on any flooring surface is a great way to convey a simple message. This stencil is very easy to use and will give you the ability to write these words in any color you choose any time it is needed. Whether it is indoor or out, you will be able to use this type of visual communication to let people in the area know that they need to come to a complete stop before proceeding slowly. This type of floor marking can help to dramatically improve the overall safety of your facility by ensuring indoor vehicles know where they need to slow down. The stencil can be used on any surface and it can be reused many times, which makes this a very efficient option when it comes to improving safety in your facility today and for years to come.